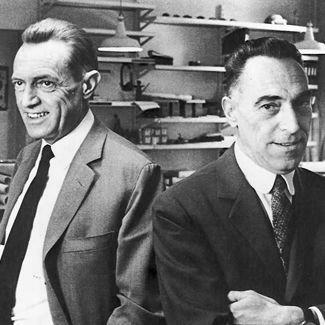 Achille and Pier Giacomo Castiglioni were industrial designers in Italy’s post-war design renaissance, known as the Castiglioni Brothers their designs have gone on to influence the many house hold and decorative structures we see today, such as furniture, lighting and office equipment. In 1956, Achille Castiglioni founded the Association for Industrial Design, ADI, cementing their dedication to industrial design; the 1950’s saw a long line of remarkable designs from the brothers such as their Mezzadro stool inspired by a tractor seat and their Sella Chair taken from a bicycle seat design. 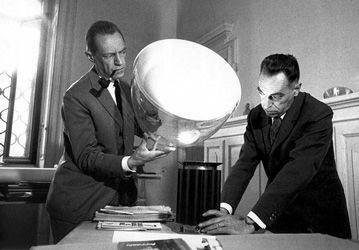 It wasn’t until the 60’s when their lighting designs really took centre stage; their designs for Flos are still sold to this day. 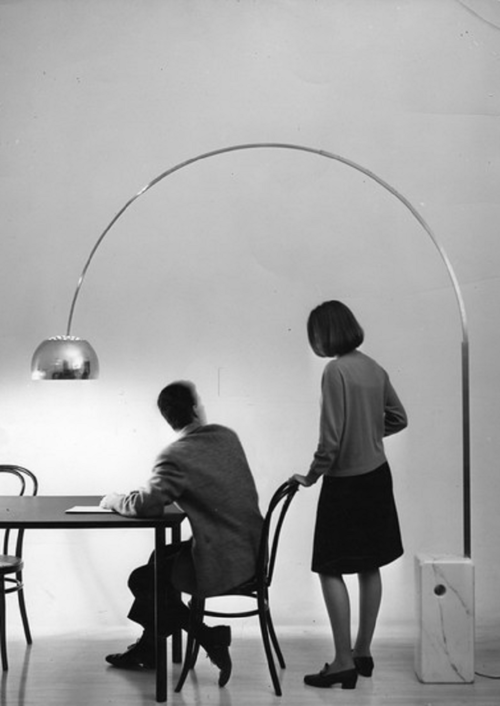 In 1962 they introduced the Arco; an arc inspired floor lamp with a long curved arm. The lamp was a success as it included practicality as well as being seen as a form of Art. The inspiration for this design was said to have been from street lamps. Presented with a satin finished steel arch it holds a swivel style shade that will project an illumination of up to 8 feet away, the base was made from white marble and it was said that two men had to carry the base due to it’s weight. In the same year they revealed the stunning design of the Taccia Table Lamp, rumoured to have been inspired by the launch of the first broadcast and thus the satellite dish that same year, the table lamp featured a sleek glass dish style shade sat on top of a fluted aluminium column. 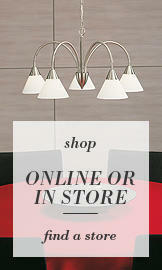 The table lamp had an almost Art Deco feel about it which made it even more of a style icon. The design also featured an adjustable element; the large dish shade could be rotated to direct light on to specified areas. 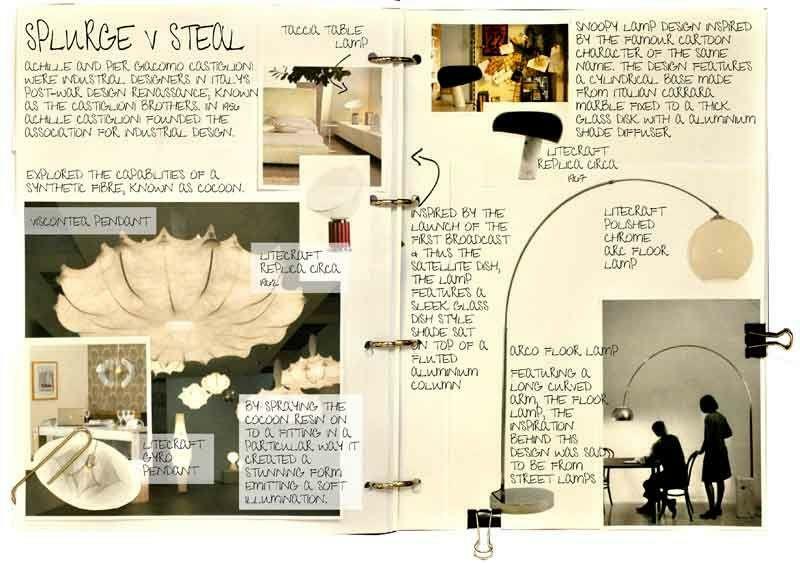 The year of 1962 was a revolutionary for the brothers, their Viscontea Pendant Lamp design was another huge success. Interested in a patent belonging to the Heisenkell firm of Merano, the brothers wanted to explore the capabilities of a synthetic fibre made of plastic polymers. The particular fibre known as Cocoon was initially produced for the USarmy for preserving wartime vehicles and machinery. 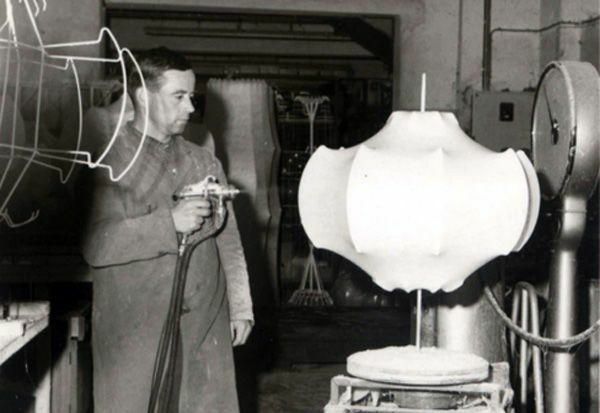 The same fibre had already been used in the early 50’s by George Nelson for a lamp design, but the Castiglioni brothers wanted to use the fibre as the main source of structure not just a finish. They found that by spraying the cocoon style resin onto a structure in a particular way would create a stunning form that gave off a warm romantic light. The resin would act like a diffuser and create a subtle illumination, whilst the adaptable natural shape could be used in almost all interiors. It was in 1967 when they introduced their Snoopy Lamp design, inspired by the famous cartoon character the design featured a cylindrical base made from Italian Carrara marble fixed to a thick glass disk with a aluminium painted shade diffuser on top. The Castiglioni brothers’ work is still referenced today and is still available in many luxury home ware stores around the world. 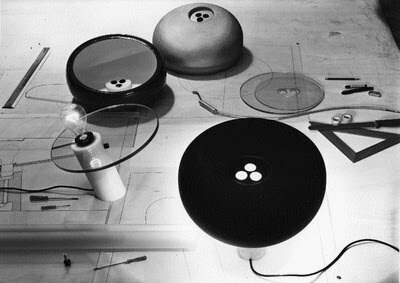 We love the Castiglioni designs, who are your influences?